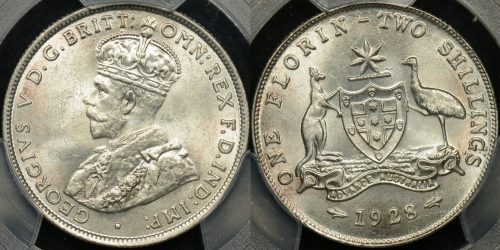 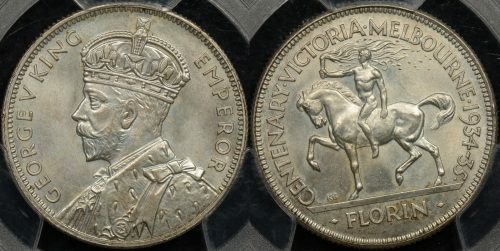 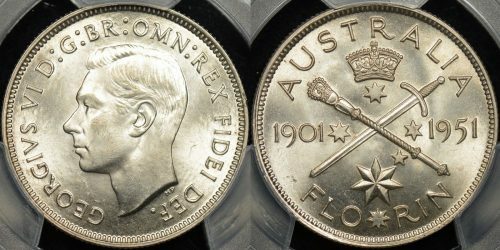 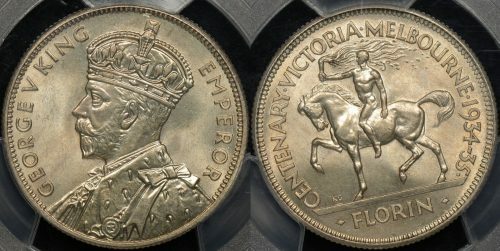 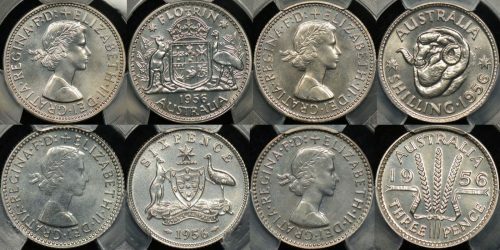 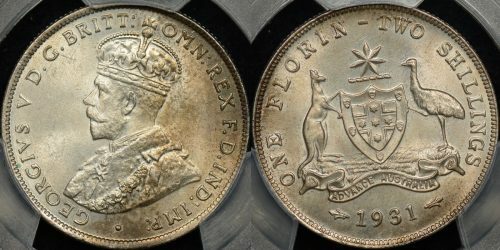 The florin is the most popular series among Australian pre-decimal collectors. 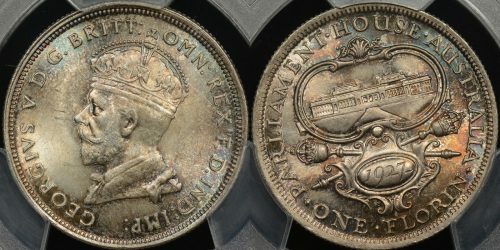 The large size and varied designs make it an interesting coin to look at and a challenge to find in eye-appealing condition. 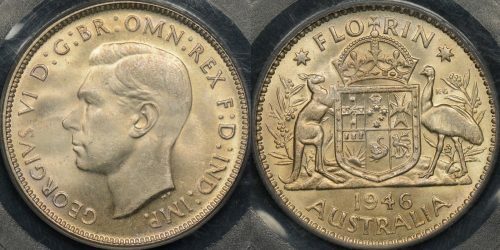 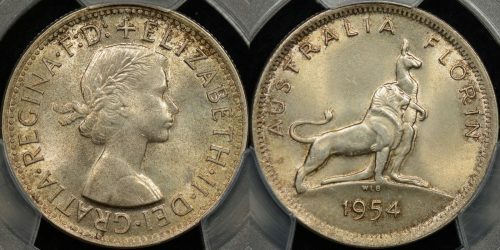 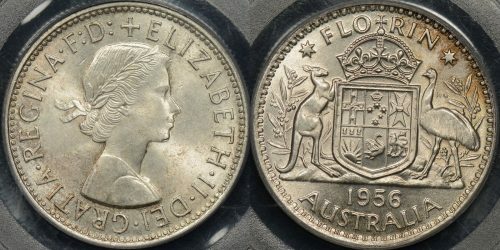 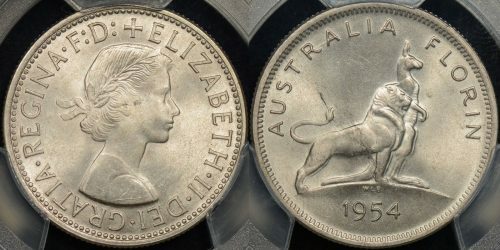 The series includes the first Australian commemorative coins (the 1927 Parliament 2s), the 1934-35 Centennial Florin, the 1951 Federation florin, and the 1954 Royal Visit florin. 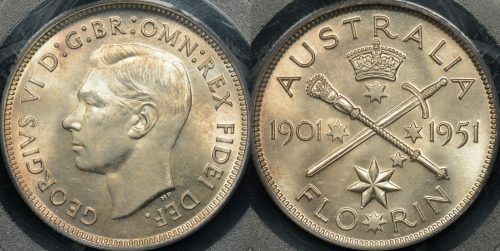 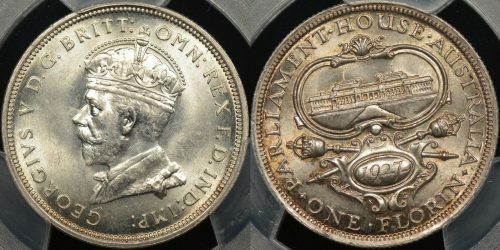 Collectors looking to fill a type set will need each of these coins, plus an example of George V (1931 and 1936 are easier years to obtain), George VI (look at 1944S for a brilliant example), and Queen Elizabeth II (any date from the 1960’s) example. 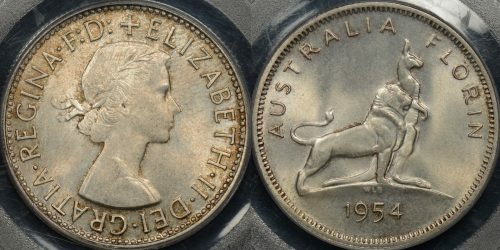 The recognised key date of the series is the 1932. 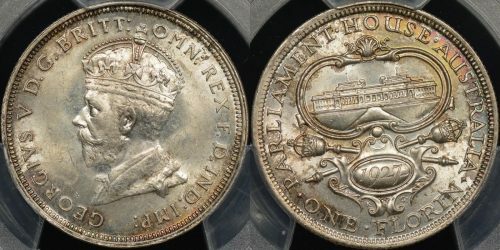 Most regular coat-of-arms reverse dates pre-1931 are tough in uncirculated grades, in particular the 1915H, 1914, and 1913. 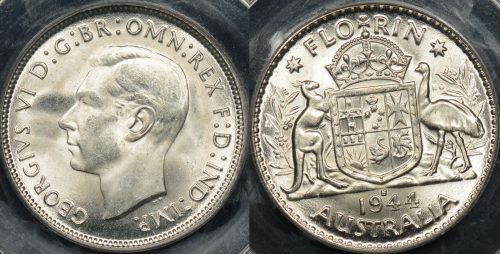 Where possible we get our Australian 2s graded by PCGS to give collectors confidence in the grade and to protect the coin.